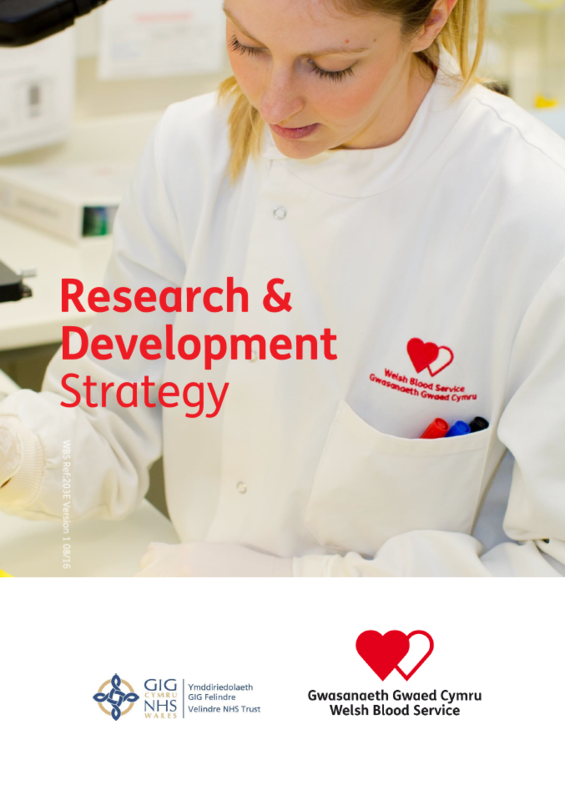 Our new Research and Development strategy is built on our wish to work in partnership with researchers and achieving the best quality, outcome and reach. In 2016, we consulted our colleagues and stakeholders about what the research ambitions of the Welsh Blood Service should be. Their response was that high-quality research and development work should be part of the Welsh Blood Service’s day-to-day activity. We recognise that our service supports broad sectors of healthcare. Our research themes, Transplantation, Donor Care and Public Health, Products and Therapies reflect this spectrum of care. Our R&D strategy sets out how the Welsh Blood Service will help to advance care for donors and transfusion and transplantation patients through the collaborative support of our own and others’ projects. Our strategy describes the support we are putting in place in the service to overcome the barriers to R&D. We detail how we will develop our capability and capacity and how we will meet the challenges in the provision of regenerative and personalised medicines. The mainstay of the strategy is our wish to work collaboratively. Whether this means locally or internationally, Welsh Blood Service will be a worldwide research partner.